I have no weekends. Everyday is a workday. From the moment I wake up till the early hours of the next day I'm working. Sometimes I sleep at 4:00am. And when I try to rest in between work or take a nap, my mind keeps analyzing my business operations especially why nothing seems to be working well. I'm working hard but not getting the results I hoped for. This past 4 months, I have gotten more advice than I have gotten in the first 20 years of my life. And I have been trying them one at a time. It's really hard combining being the one to get business for the company and also being the one to carry out the job. Flipping between the two roles can be nerve wrecking. Just when you are getting into the sales flow you need to work on a programming job and then it takes 2 days to really get into the programming mood. And again, when you feel like programming till kingdom come you have to snap out of it and go pursue sales. Every night my back aches. I sleep both mentally and physically exhausted. 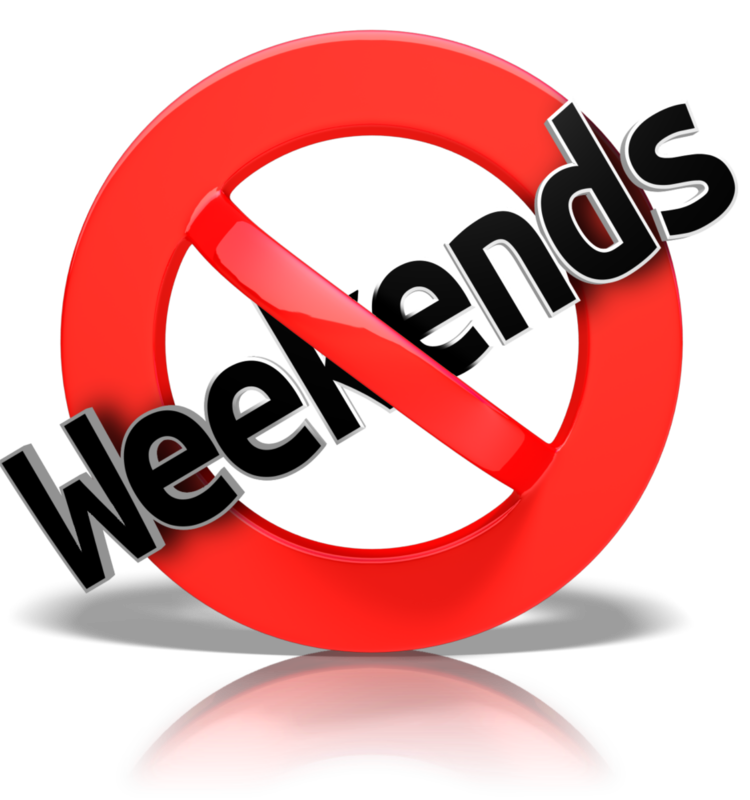 There is no difference between a Monday and a Saturday. There's no TGIF. I have no weekends. Just like someone did say, I'm at the stage of trying everything. No free day to attend events. No day to fill with your favourite activities. People can't understand why you are always busy. No day to go totally off on. Lots of head banging, but not to music. It's the result of walking in the dark, trying to fix issues you can't seem to comprehend. Not knowing when things will get better, when the weekend will finally come. The only consolation is I'm chasing my dream.